Linda Rae Apolzon - "How Winston Lost His Math Homework"
This story appeared in Spider (April 2009), a children's magazine of stories, poems, and activities selected for children aged 6-9. It is part of the Cricket group. publishes a number of children's magazines for different age groups and interests. You can also read this story in a Kindle book titled SHORT STORIES, BIG LAUGHS, a collection of 16 funny stories and poems originally published in Spider. "How Winston Lost His Math Homework"
Winston did his math homework. Really. 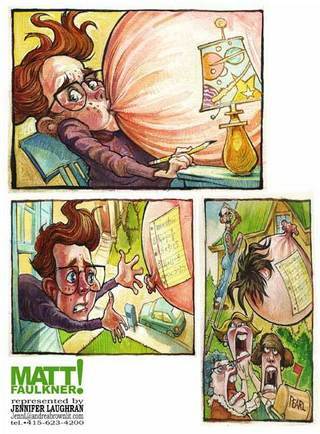 It's just that--when he blew his bubblegum into a gigantic bubble, he didn't notice his homework sticking to the bubble as it floated out the window. SPIDER PRESENTS:SHORT STORIES, BIG LAUGHS!